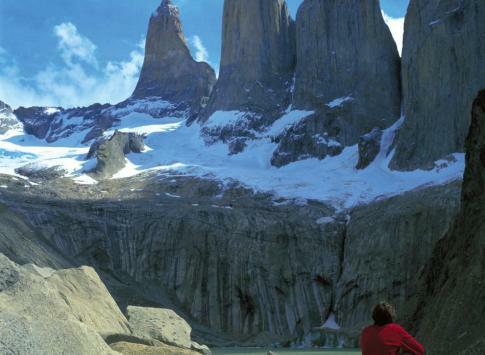 Adventure Life's Chile tours let you explore the deserts of Atacama, the Lake District's active glacier-topped volcanos deep in the Andes Mountains, and the "End of the world" in Pagagonia where the breathtaking Torres del Paine impress travelers with some of the world's top hikes & treks. 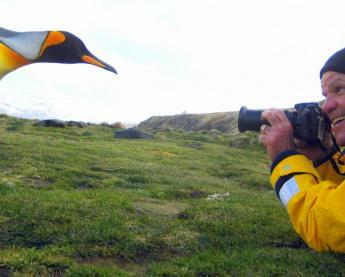 One of the best ways to visit Chile is on a cruise exploring the fjords and glaciers of Patagonia, or even taking a flight-cruise to Antarctica from Punta Arenas. Your Chile tour normally begins in the cosmopolitan capital of Santiago whose surrounding valleys' vineyards produce world class wine. From there, you have complete flexibility, and we can help you design your ideal trip combining your precise interests, schedule and budget. 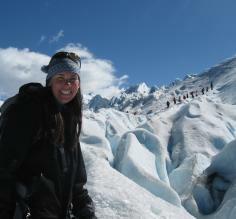 Contact one of Adventure Life's Chile experts to start planning your dream tour of Chile today. Explore Bolivia and Chile on this 10-day adventure tour revealing an extreme geography of deserts, mountains, canyons, and lagoons. Visit Salar de Uyuni, Lake Titicaca, and the Atacama Desert while viewing breathtaking landscapes every step of the way! Starting in La Paz, Bolivia you'll journey to Tatio Geysers, the Valley of the Moon, and more. 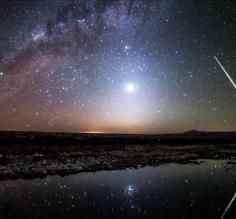 Venture into the Atacama Desert! Three to five night extensions include flexible itineraries that explore this unique region, including a visit to the Valley of the Moon, and the El Tatio geysers. Evenings are spent at the renowned Terrantai Lodge in San Pedro de Atacama. Hike, bike, taste wine, and enjoy traditional Chilean cuisine on this week-long tour through the Santiago Valley. Your journey includes a city tour of Santiago's historical sites, trekking El Morado Glacier, and touring several local wineries. 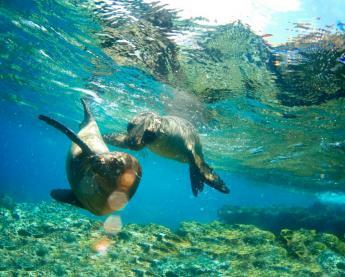 This tour can be customized to increase or decrease the activity level based on your preferences. This active tour explores the Huilo Huilo Reserve multisport style! Hike through the reserve, mountain bike along a country road, raft the Fuy River and zipline at Huilo Huilo Falls all on our 4 day Huilo Huilo Reserve multisport tour. This Patagonia adventure is geared towards the active traveler. Explore the "End of the World" and its expansive plains where massive granite spires thrust glaciers towards the heavens. Stay in ecologically friendly lodges and estancias, and by day, hike, bike, trek and sea kayak through the must-see Torres del Paine National Park. Explore the world's driest desert with its turquoise lagoons contrasting with the desert reds and oranges in the alien landscapes of the Valley of the Moon and El Taito geyser. 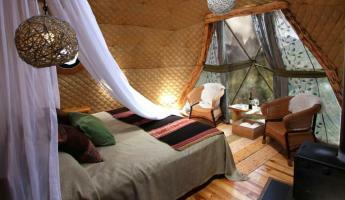 In the evenings cool off in a stunning eco-lodge like Awasi or Terrantai Lodge. Far off the coast of Chile in the South Pacific Ocean lies Rapa Nui, or Easter Island, whose indigenous culture thrives today in the shadows of 1000 monolithic Moai totems whose faces deify specific ancestors. Towering volcanoes joined by pristine lakes, rivers and and ancient forests are perfect for hikes and wildlife viewing. Sea Kayak on glassy, glacier fed mountain lakes or white water raft down the world famous Futaleufu River for an extreme Chile Lake District adventure. 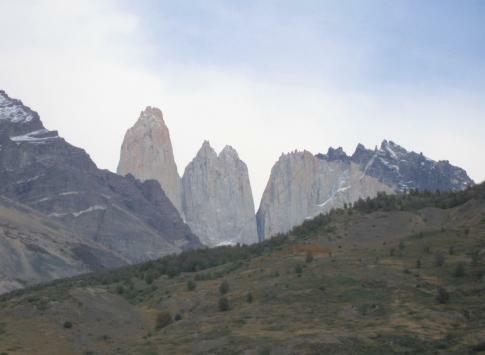 Trekking & Hiking - The Torres del Paine in Chile's Patagonia are one of the world's most spectacular hiking destinations and have countless hiking opportunities for all levels of fitness and experience. The "W Circuit" is an epic 6-day trek through the most scenic areas of the National Park. Horseback riding - Ride in the shadow of active glaciated volcanoes and explore historic haciendas in the Lake District of Chile. Sea Kayaking - Paddle the gentle rivers and glacier-fed lakes of Torres del Paine or even kayak along the frozen shores of Antarctica. Whitewater rafting - The Futaleufu River offers some of the world's premier white water rafting. 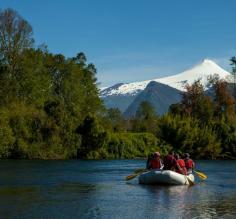 Sample some of the best rafting in Chile on this 9 day trip on Futaleufu, Espolon, Rio Azul, and Inferno Canyon. 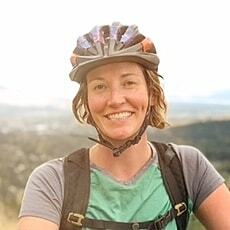 Bicycling - pedal from vineyard to vineyard on our 8-Day Bike & Wine Adventure, or a shorter one day pedal around the Colchagua Valley or ride the mysterious shores of Easter Island. Can't decide between activities and want to do them all? 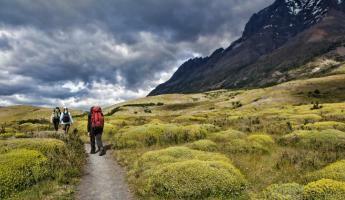 Try our Torres del Paine multisport tour. Tired from all that physical activity? Take the edge off with wine tasting in Chile's wine country. Awasi Patagonia - The lodge is inside a private reserve with expansive views of the Torres del Paine peaks and Lake Sarmiento. 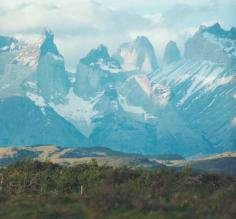 Days are spent exploring Patagonia by horseback, on foot or kayaking nearby lakes. In the evening, relax in luxury as you retreat to your ranch style outpost. Awasi Atacama - in San Pedro de Atacama lets you explore the mystical beauty and inspiring geology of the Atacama Desert in style and comfort. Vira Vira Hacienda - A riverfont luxurious lodge in Chile's Lake District with breathtaking vistas of glaciated volcanos and pristine forests. Venture into the Atacama Desert on these 3 to 5-night luxury Chile tours with flexible itineraries that explore the best of the Atacama like the Valley of the Moon, Lasana Valley, and the El Tatio geysers. Punta Arenas is the largest city in the Patagonia region. Lake District is frequently Puerto Montt, the the major port in this region. Atacama Desert is accessed via the Calama Airport and a one hour land transfer. Easter Island's Mataveri International Airport flies direct from Santiago to this isolated island far off Chile's Pacific coast. Once you arrive to a regional airport, you'll be transported to your destination in private vans, buses and cars. 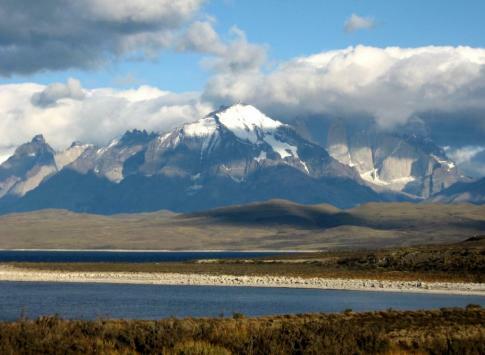 Most travelers can enter Chile with just a current passport. However, if you are traveling from Australia or Mexico and flying through the international airport in Santiago, there is a Reciprocity tax that must be paid before you enter Interpol. For Australia it is $117; for Mexico, it is $23. If you are not flying in, this tax does not apply. 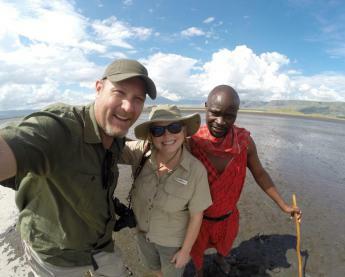 Tipping is never required on an Adventure Life trip, however it is always appreciated. It is common to leave an additional 10% on restaurant bills for excellent service and $2-$10/day for your guide and $3/day for your driver. If and how you choose to tip is entirely up to you. Plugs are two round prongs and run on 220-volt, 50 cycle electricity. You will need a power converter for 110-volt devices. Most hotels have wireless internet, and you won’t have trouble finding a cyber café in the major cities. However, as you get into the more rural areas, it can be harder to find cyber cafes, and some more remote hotels may not have internet access. Check with us while planning your trip and we’ll let you know. Can I use my cell phone while in Chile? It’s possible. You will need a GSM phone with a SIM chip that is either unlocked or has a plan that allows for roaming. Check your phone's compatibility here. Then once you arrive in Chile, you can purchase a pre-paid chip from the major carriers, which are Claro, Movistar, and Entel. In some of the more isolated parts of the country, especially in the southern provinces like Patagonia and Torres del Paine National Park, it can be impossible to get a signal. Chile is a very modern country and toilets are standard flushing units in hotels, restaurants, and nearly all bathroom facilities. If you are camping or trekking in the backcountry, it is possible that you will only have access to squat toilets. You can drink the water in most of Chile’s major cities and provinces, however it is very mineral rich and can cause upset stomachs if you’re not used to that. We make sure that there is always bottled water available to you if you prefer. In some of the more remote parts of Chile, especially in the northern and southern regions, you should not drink the tap water, and we advise against brushing your teeth with it either. Are credit cards accepted in Chile? Credit cards are accepted in most businesses like hotels, restaurants, and bigger stores in the major cities. However, small stores, stalls, and places in the rural parts of Chile might not accept credit cards. It’s always a good idea to have some cash in US dollars and some pocket money in Chilean Pesos on hand. In the big cities and tourist destinations like Santiago or Punta Arenas, you will find ATMs from which you can withdraw money. Rural areas tend not to have ATMs, so it’s best to be prepared. Do I need to purchase travel insurance before heading to Chile?